As an Atlassian Expert since 2004, Xpand IT delivers top IT services and products to meet Application Lifecycle Management and Software Development Lifecycle requirements. We believe that Jira Software is an excellent tool, not only due to its issue and project-tracking capabilities, but also because you can tune it with amazing add-ons to make it an even better platform. In this playbook, we unveil 10 of the coolest must-have Jira add-ons that you can easily find in the Atlassian Marketplace. These add-ons are currently used by Fortune 500 companies like Porsche, Audi, Vodafone, Lufthansa, Nike and Samsung, amongst others. It captures and organize issues, assign work and follows the team activity. Teams collaborate better, and they spend less time managing and more time actually developing high-quality software. You don’t need to be a tech ninja to work with Jira. In fact, it is accessible to any person on your team. As a flexible issue tracker, it helps to manage all the different issues within projects, versions, dependencies, relations, defects and others. Jira Software is known worldwide by developers, testers and project managers for its project management and issue tracking capabilities. keep track of your project by choosing from several pre-built project reports. With Jira Query Language (JQL) you can personalize and create your unique customized reports and gadgets. Provides a modern and flexible service desk experience that streamlines customer requests. Centralizes the knowledge base and project documentation for the team. It allows teams to create, organize and discuss their work. A group and video chat tool that allows discussions to move throughout different tools and share progress instantaneously. A Continuous Integration Platform that easily tie automated builds, tests and release in a single workflow. The Git platform for professional teams. It is a code collaboration tool on steroids with flexible deployment models for development. The Atlassian Marketplace is the platform for Atlassian customers to discover, try, and buy add-ons for Atlassian applications. Because there are thousands of them currently available, it is hard to find which one will work best for you. We created this simple guide of the 10 coolest and most useful add-ons for Jira to help you be focused developing the best software. ScriptRunner for Jira is an add-on to execute admin and workflow functions as scripts written in Groovy and other scripting languages, without having to write a full-blown add-on. Administrators have the power of the Groovy programming language at their disposal to respond to events and transitions, manipulating Jira using the REST API. Problem: Need the total time an issue remained in a specific status, in a specific team. Solution: Use ScriptRunner to create new scripted fields that sum time. Automation for Jira puts global and project admins back in control by allowing them to configure powerful automation rules with ease. 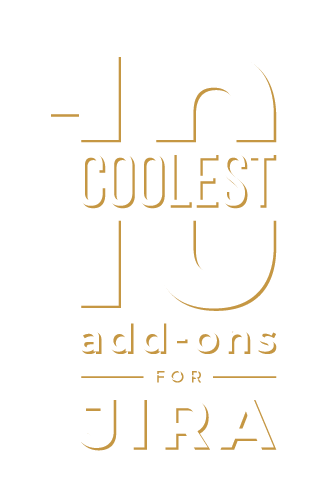 This add-on combines the functionality of dozens of individual add-ons with the ease of a visual rule builder, making it trivial to automate Jira without installing many different add-ons, learning Jira’s API or writing custom scripts! Problem: Need to automate change status every time a specific type of issue is set as a blocker priority and has not been updated in more than 4 hours. Solution: Use automation to set an action based in a JQL. Tempo Timesheets is a time tracking and reporting solution that seamlessly integrates with Jira to help teams and managers track time for accounting, payroll, client billing, enhanced efficiency, and forecasting. Time tracking means getting things done. Structure add-on for Jira is a project and portfolio management tool. Whether you’re Agile, Scaled Agile, Waterfall, or something in between, you can create anything from personal backlogs to big-picture overviews of the entire company portfolio. Structure lets you organize issues into hierarchies of any depth, so you can plan your projects in as much detail as you need. Problem: Need to have a 3-tiered hierarchical issue structure. The Jira Misc Custom Fields objective is to provide several new types of custom fields for use in custom Jira workflows as well as useful JQL functions. Problem: Need to know very clearly what was the status of the parent issue. Solution: Use “Parent Status Field” provided by this add-on. Git Integration for Jira allows you to view a summary of the Git tags, commits, and branches related to the Jira issue. It keeps your Jira issues moving through your development process while ensuring high quality by reviewing code inside Jira. Problem: Need to have clear traceability between an issue in Jira and a commit in GIT. View Git Commits, Branches, Tags in Jira. Xray is a Jira add-on for managing quality assurance tests which integrate seamlessly with Jira. It supports manual and automated tests and provides reports to track test coverage of your Jira projects. Xray includes a RESTful API out of the box. eazyBI is a report, charts, and dashboards add-on for Jira. It is an drag-and-drop tool for analyzing and visualizing your Jira issues data. It analyzes Jira issues by using standard and custom issue fields, identifying trends and top/bottom performers. It starts from a summary overview and drill into details eazyBI supports Jira Software (Agile) custom fields, Jira Service Desk custom fields, Tempo Timesheets custom fields and Xray test management data. Xporter is a Jira add-on to export data from Jira into reliable, structured and comprehensive information documentation. It exports issues to DOCX, XLSX, PDF, ODT, and SVG, using Microsoft Word & Excel Templates. Problem: Need to send a custom report with additional information about the project to customers that don’t have access to Jira. Solution: Create a report that combines text and issue information in a custom MS Word template. Configuration Manager for Jira is a deployment and configuration automation tool, allowing automated rollout of system or project configuration snapshots with intuitive UI and audit trail. This add-on will help to minimize errors so you can deploy new configurations to production Jira systems with confidence. Problem: Having different Jira instances to test new developments, workflows and screens. Everything we do is to inspire others to achieve outstanding results. We do that by investing in IT mastery to generate market value. As a global company, specialized in Big Data, Business Intelligence & Analytics, Middleware, Enterprise Mobility, Collaboration & Development tools, we have top products and services used by Fortune 500 companies.